A recent American Massage Therapy Association (AMTA) survey indicates that 90 percent of massage therapists are practicing in some level of pain. And massage therapists—like many wellness professionals—often put the needs of their clients first, sometimes sacrificing their own needs. That’s where self-care comes in. By learning habits and strategies to keep burnout at bay, massage therapists can ensure a healthy and rewarding massage therapy career for years to come. David Lobenstine is a massage therapist from New York and a speaker at the AMTA 2017 National Convention, September 14-16 in Pasadena, California. 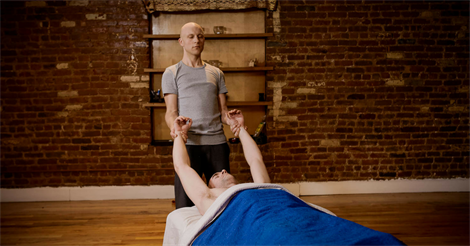 Combining deep tissue and myofascial work with attention to breath, he helps both clients and fellow massage therapists inhabit their bodies with greater ease and effectiveness. David shares three takeaways from his hands-on continuing education session Pour, Don’t Push: How to Massage With Greater Depth & Ease. 1. One of the greatest gifts we can give to ourselves is to let go of our own judgment. We are so determined to do a good job that we tend to be very hard on ourselves. That judgment is useless—it doesn’t help the therapist, and it doesn’t help the client. By working with mindful awareness, we can help ourselves as we help our clients. 2. One of the greatest gifts we can give to our clients is to not try to do so much. In “Pour, Don’t Push,” we discover that a massage session is often more effective, and feels better, if you work slower rather than faster, and if you do fewer strokes rather than more. 3. Pay attention to your body. You are already a good massage therapist. You are already helping your clients. But if you pay as much attention to your own body as you do to your client’s body, your work will be easier and more effective and more enjoyable. David’s continuing education session is full, but explore the other great self-care CE sessions at the AMTA 2017 National Convention. 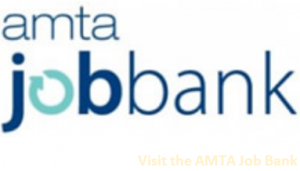 The AMTA 2017 National Convention is the largest event in the massage therapy profession. Be inspired by fitness expert Shaun T and top TED speaker and positive psychologist Shawn Achor, and attend CE sessions designed to improve your body mechanics and overall wellness. Online registration is now closed, but you can still register at the AMTA Registration Desk at the Pasadena Convention Center! Attendee badges must be displayed at all times. Wednesday, September 13: 11 a.m. – 6 p.m.
Thursday, September 14: 7 a.m. – 6:30 p.m.
Friday, September 15: 7 a.m. – 6 p.m.
Saturday, September 16: 7 a.m. – 12:30 p.m.
Shaun T is an internationally recognized fitness expert and the AMTA 2017 National Convention keynote speaker. Watch as he shares three of his tips to live your best life, and register to see him live on September 14 in Pasadena!